With spring upon us and summer fast approaching, many people are beginning spring cleaning or are starting to plan on how to get their houses in tip top shape! Spring is the perfect time to make these changes so that when summer hits, there is no work left to be done besides just enjoying the new space! Aside from deciding what and how to fix things, choosing a place to buy from can be a particularly daunting decision. Having to shop around can be tedious and overwhelming. Additionally, looking for a place with knowledgeable staff as well as experienced and helpful customer service can be another challenge. Luckily, you can find all of these at once at Build.com. Wide Selection Build.com has a vast selection of goods for a shopper to choose from. There is plenty of selection for various rooms, including bathroom, kitchen, living room and more. They also stock for various price points. This way, there is no worry when it comes to a budget. No matter what your amount you would like to spend, you can get a great deal and probably leave with say more than you bargained for. With already lowered prices, savings can amount to more than 40% off for items that can transform your home. Help For The Indecisive With a wealth of so many options, it can be hard to make a decision. Build.com has a solution for that as well. The site also features a host of experts that can provide you with inspiration for the exact project that you are working. If you don’t have anything in mind but are having a hard time choosing, the experts can help you figure out how to use or even where to place your items. Basically, when it comes to décor, you can call on them for anything need that you may have! Repair Rangers For those looking for more than décor and design, or who may need to make all around repairs or bigger changes look no further than Build.com. 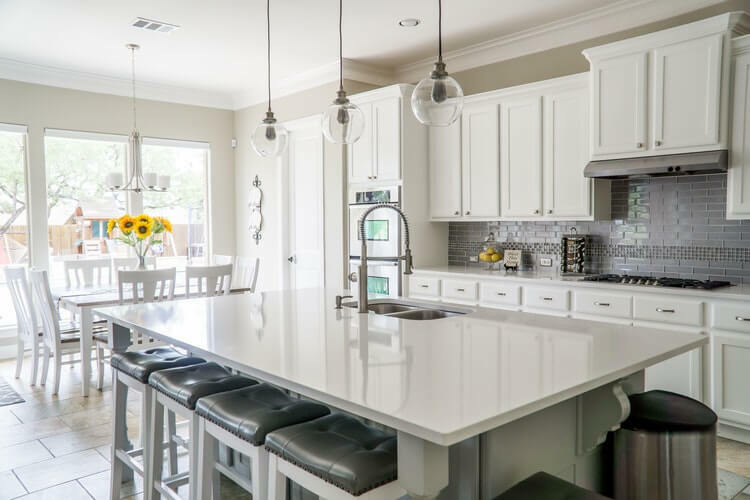 If you are seeking to make major changes in your kitchen, are inspired to try out the latest living room trend, or are in need of organization options; you can find various styles of hardware and as well as storage options and more. Much like experts that help with inspiration, there are also experts that help with installation as well. This way, if your do-it-yourself project becomes a don’t, you don’t have to worry! They also offer special pricing! With this feature, you can Build.com of the quote you’ve received from one or more contractors and they can help you secure the best price for your project, something most retailers never offer! Super sales At any given time, Build.com will be running awesome deals for deeply discounted prices. One of their most popular, The Live It Up Sale, features 80% off of prices on most items as well as of course their free shipping over 49 dollars makes this one of the sweetest deals around! If you are looking to makeover your home or even just accent a room, Build.com could be the one stop shop that you need in order to get everything that you want.